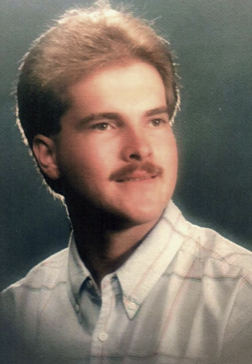 Brian Keith Blanchard, 52, died Sunday, August 12, 2018 at Transitions Hospice Center with his loving wife by his side. Brian was a graduate of Roanoke Rapids High School and Halifax Community College. He worked for many years at Abbott Laboratories before joining NAES Corporation where he suffered injuries that would alter his life and the lives of his family forever. Brian enjoyed fishing and football but his greatest joy was spending time with his wife and children, and especially his oldest two grandchildren. It saddens his family to know that the other grandchildren born after his brain injury will never know the loving "Papa" that Brian was to the oldest two. Brian is survived by his loving wife of 24 years Wanda Barnes Blanchard; his parents Martha and Franklin "Bubba" Blanchard; his two sons Phillip Johnson (Ashley) and Chris Johnson (Kelley); two daughters Blake Moseley (Anthony) and Ashley Blanchard; grandchildren Hunter Johnson and his mother Stacy Johnson, Kate Johnson, Layla Johnson, Avery Moseley, Aubrey Price, Brantley Johnson and Paisley Johnson. He is also survived by his brother Tim Blanchard (Joan); his mother-in-law Ann Barnes; his sister-in-law Lisa Barnes Vincent (Eddie); nephews Daniel Harris (Casey) and Justin Vincent (Olivia) and great-niece Maren Harris. Brian is predeceased by his father-in-law Henry Granger Barnes. Funeral Services will be held Wednesday, August 29, 2018, at 11:00 A.M. at Calvary Baptist Church with Rev. Randy Martin officiating. Burial will follow at Cedarwood Cemetery. The family will receive friends at the Church at 10:00 A.M. until service time. In lieu of flowers, donations can be made to the Brain Injury Association of America, 1608 Spring Hill Road, Suite 110, Vienna, VA 22182 or Transitions LifeCare, 250 Hospice Circle, Raleigh, NC 27607.